German Chancellor Angela Merkel, repeat as a candidate of the conservative Christian Democratic Union (CDU) in the general elections next year to fight for what would be her fourth consecutive term, according to advanced several German media this Sunday. It is foreseen that the chancellor appears this evening before the press in the frame of a meeting of the leadership of the CDU, at the end of which is expected to be officially announced her candidacy. Angela Merkel, 62 and in front of the German government since 2005, knows that she has the support of a majority of Germans. According to a survey released today by the newspaper ‘Bild am Sonntag’, 55 percent of Germans want Merkel chosen again chancellor in September elections next year, by 39 percent which is positioned against it. Among the voters of their party, the CDU, the support is overwhelming: 92 percent support for the next term. 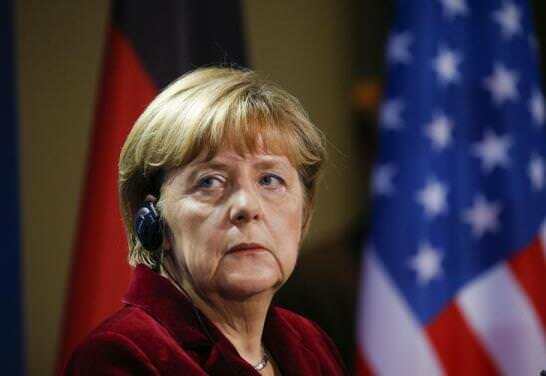 The German president is head of her party since 2000. Five years later she was elected chancellor. If she repeat mandate, it would be willing to match two historic German politicians: Helmut Kohl, who was 16 years in power (1982 to 1998) and Konrad Adenauer, who remained 14 years in the Foreign Ministry. Despite the popularity of Merkel has fallen this year (especially due to its handling of the crisis of refugees) and her party has suffered several electoral setbacks, she has recently mended the flight again in all the surveys, part by fear that in Germany raises the victory of Donald Trump. Against Republican and the rise of populism and the extreme right in other European countries, the foreign minister is seen as a guarantee of stability and defense of democratic values.